limited / one time only pressing. 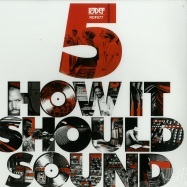 the all time best selling instrumental hip-hop series, how it should sound, is finally back in effect starting with volume 5. the (previously unheard / unreleased) beats featured in this collection were all created between 2003 and 2007 and although time moves on there are undoubtedly some things that are timeless. 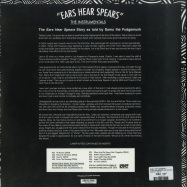 this is instrumental hip hop that stays true to its roots whilst building on tradition, the crack and pop of old vinyl nestled contentedly in layered compositions that knock, swing, and groove. relax and enjoy: perhaps unsurprisingly, it sounds just like it should. 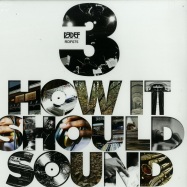 the all time best selling instrumental hip-hop series, how it should sound, is finally back in effect starting with volume 4. the (previously unheard / unreleased) beats featured in this collection were all created between 2003 and 2007 and although time moves on there are undoubtedly some things that are timeless. this is instrumental hip hop that stays true to its roots whilst building on tradition, the crack and pop of old vinyl nestled contentedly in layered compositions that knock, swing, and groove. relax and enjoy: perhaps unsurprisingly, it sounds just like it should. 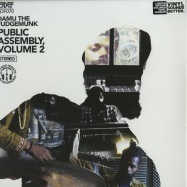 exactly one year after volume 1, damu answers the people with public assembly volume 2, a second installment of quality instrumentals in his signature style. what started as a collection of music curated with the help on his fanbase via social media has turned into another franchise title for redefinition records. 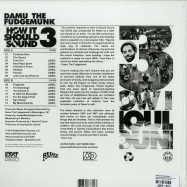 over the last 6 years, damu and his redef label have released numerous projects big & small across every major format. 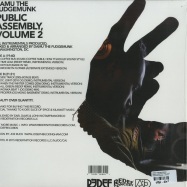 the music heard on public assembly volume 2 is more like a family reunion than a collection. the release unites sought after rarities, unreleased compositions, archived demos and fan favorites, all gathered on limited edition black and gold splattered vinyl. 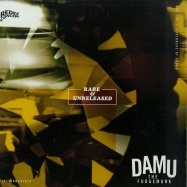 damu the fudgemunks latest release, a 7 inch single featuring 2 instrumentals, overthrone & all green. 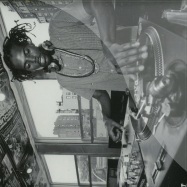 as usual, the dc native lets his music and a few choice cuts performed on his technic 1200 turntables do the talking for him. and unlike the politicians that set up shop in his hometown, damus (subliminal?) message is loud and clear: try a lil skillfulness. 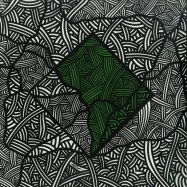 the g side features all green which many will recognize as an instrumental version of damus >army fatigue rap redef remix<, which was a bonus track on kev brown & kaimbrs alexander green project released earlier this year. but does any of that really matter? you already know what to expect, high quality production featuring one of damus signature compositions with drums that just might jump through your speakers and crack you in the face. 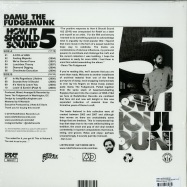 born in washington dc, damu the fudgemunk has been building a loyal fanbase through his soulful sample based productions, that are crafted from his mountains of records and mpc floppy discs. 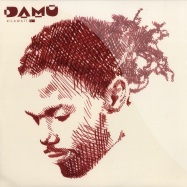 damu made his official debut in the fall of 2007 on tres records, as the sole producer of travel at your own pace which sold out incredibly quickly and is today almost impossible to find. 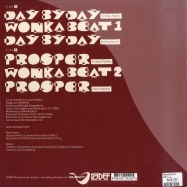 since then he has released a number of free projects on his own label as well as being 1/3 of dc group panacea. limited pressing on gold coloured vinyl. this 12 inch is a very special offering from fat beats records newest and most mysterious signees, union. 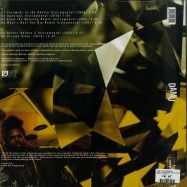 the single comes in a neonblue & white marbled, triangle shaped vinyl in a clear plastc poly bag. 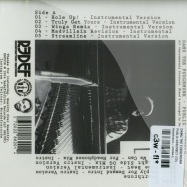 >time leak< features talib kweli on the verses and sly johnsons soulful belting on the hooks. the music video pays homage to the matrix, david cronenberg, and, with the visuals showing union controlling a female body with their instrumentals, getting her to dance.